Gorgeous, updated Capitol Hill condo! 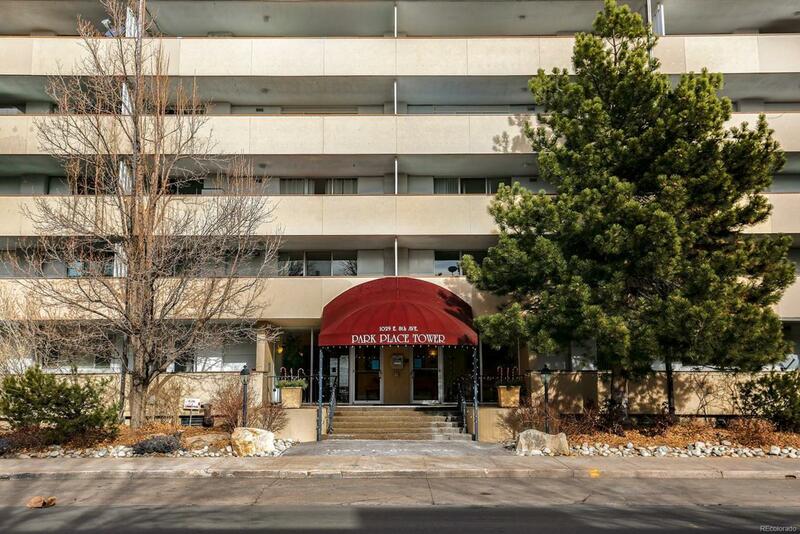 On the 10th floor of this well maintained building, #1004 offers unrivaled views across Denver, the front range and incredible sunsets from the private balcony! The spacious open floor plan features hardwood floors and updated lighting, with a renovated kitchen providing stainless steel appliances, updated cabinets and Quartz counter tops. The spacious bedroom features two large closets. A private reserved parking space and storage unit are right beside the elevator in the heated underground parking garage for enhanced convenience. The community also features a pool, fitness facility, sauna and pets are welcomed! Water, heat, trash & snow removal are also included within the monthly HOA dues to underline the value of this property. This one is ready for immediate move-in, make the comparisons and see for yourself!